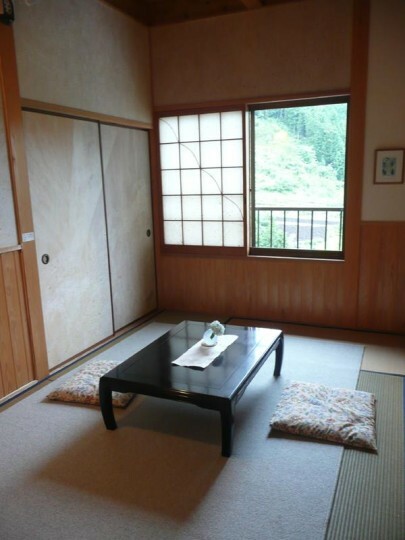 At Kamikoya, we have a two-room suite with a private bathroom exclusively for one group at a time. 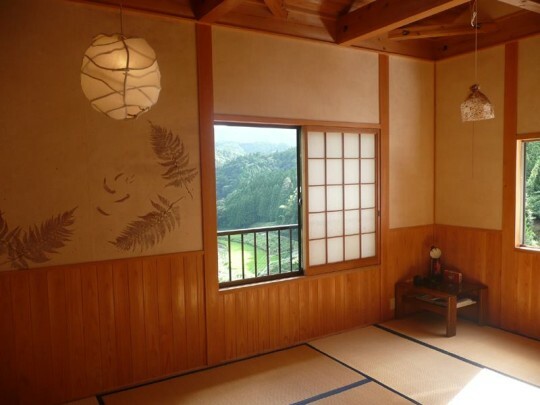 The interior is a Japanese style with tatami mats. Paper produced at Kamikoya is used for the wallpaper, lamps, and sliding doors. *Internet is available. We have wifi as well as a computer in the living room. 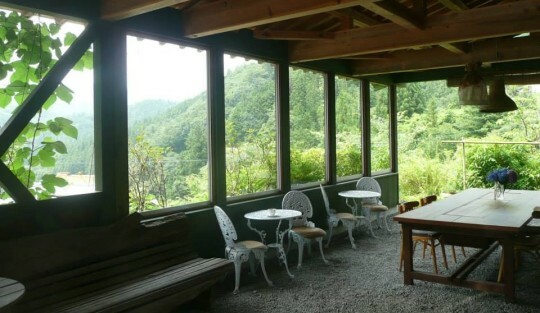 You will have a great view from the windows, looking down into the Otado valley which contains a tributary of Shimanto River. In warm seasons meals are often served outside. 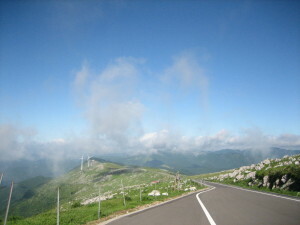 Kamikoya is also famous for its meals. We are trying to provide meals mainly made from organic and local produce, using pesticide-free, domestic, and no-additive food and seasonings as much as possible. 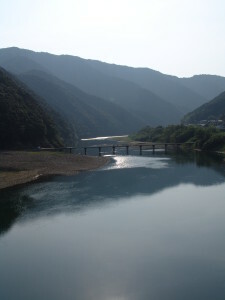 We also use Japanese mountain herbs and river fish. 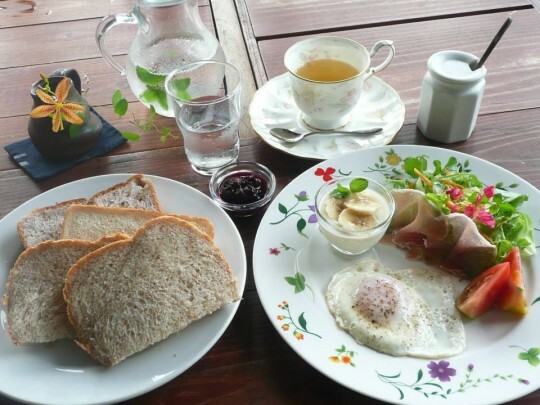 It is truly original country cooking. Please let us know in advance if you have a special dietary needs. Click hier for an impression of spring-time meals and ingredients. Click hier for an impression of summer-time meals and ingredients. 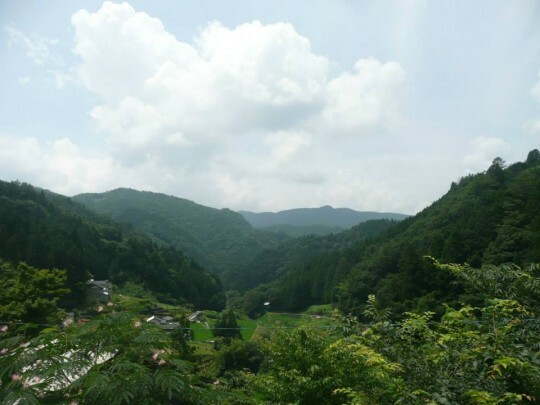 ■4 to 6 people – 8,500 yen per person with 2 meals, 4,500 yen per person with no meal. 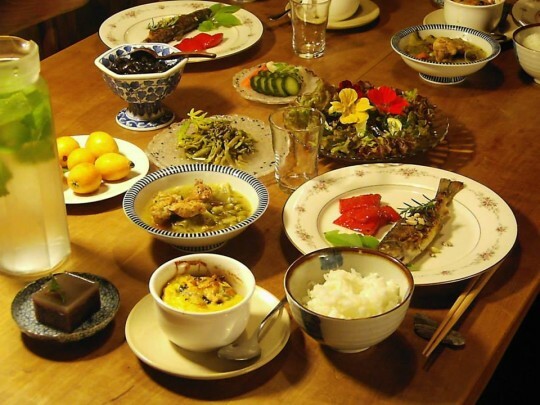 ■1 or 3 people – 9,500 yen per person with 2 meals, 5,500 yen with no meal. *15% discount for elementary school children. *Children under 6 are charged for beds (2,500 yen) and meals (2,500 yen) if required. *Children under 6 will not be counted for number of people staying. Not only do we use local produce and organic food, we also use body soap, shampoo, hair conditioner, etc. that are not harmful to nature. Please bring your own tooth brush and pajamas. 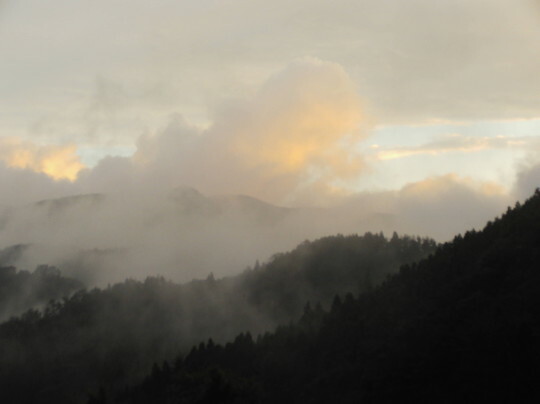 Near Kamikoya there are plenty of beautiful places to visit, like the Shikoku Karst and the Shimanto River. Please contact us for more information. Copyright © 梼原和紙＆紙漉き体験民宿 かみこや All Rights Reserved.